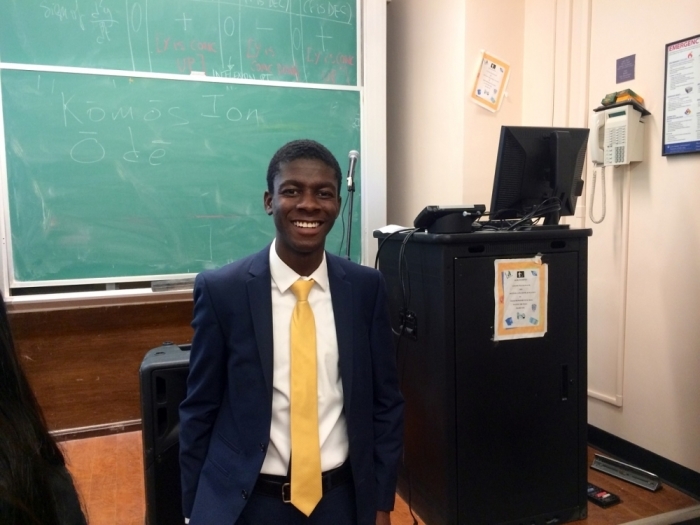 NEW YORK — When 20-year-old Kalu J. Ogbureke first started the Ivy League's Columbia College in New York City three years ago, his conservative southern evangelical Christian sensibilities were left a little "shell-shocked." It wasn't that the city or the college was hostile to his faith. They were far from it. For Ogbureke and other Christian students like him who had come to the city from the South, it was mostly that Christianity isn't seen as such a big deal. Indeed, for many New Yorkers, Christianity is like an artifact that is no longer relevant for life in the modern world. And it shocked Ogbureke and his kind as they struggled to fit in. Three years later, however, after overcoming a deep learning curve, a more confident and urbane Ogbureke, whose family is from Houston, Texas, has emerged as king in a space for Christians on campus. 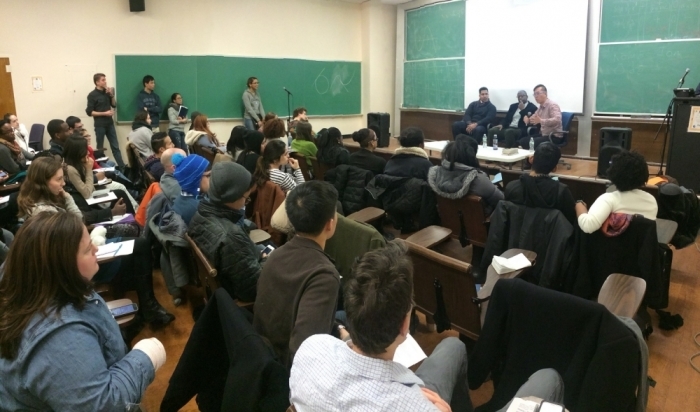 The economics junior is now leading Columbia Faith and Action, a Christian leadership ministry serving all four undergraduate colleges of Columbia University that boasts nearly 200 members. It's an arm of a group called University Christian Union founded at Princeton University in New Jersey by Matt Bennett about 12 years ago. The group aims to disciple Christians at the nation's eight Ivy League universities due to their undue influence on American culture. "Christian Union focuses energy toward developing Christian leaders at eight universities and select cities because of their extraordinary influence on our culture and society. The universities are: Brown, Columbia, Cornell, Dartmouth, Harvard, Penn, Princeton and Yale. Out of the 2,500 four-year colleges and universities in the country, these eight produce 50 percent of the most influential leaders in our nation. Graduates from these schools also have extraordinary influence on the international scene," explains the organization's website. As of this year, there are about 1,300 students involved in Faith and Action efforts across all eight schools, according to Christian Union representative Jim Black. And together, the students in the movement at Columbia have embraced their brave new world and are navigating it with their faith intact. "I would say a lot of us, myself included, came from that southern United States culture which is very conservative; so when you come up here you are a little shell-shocked. Things are just very different," explained a nattily dressed Ogbureke at a gathering on the university's Morningside campus Thursday night where the group had gathered for a panel discussion billed "Race & The Gospel." "You deal with people who are not Christians where I come from, but there is kinda that overall culture that at least there is that cultural appreciation from those who may not practice or may not be large on their faith. So coming here, I think it was a lot of rallying around each other," he noted. "It was a big learning experience to know what it meant to be a representative of God in a place where it's not anti-Christian, it's not opposed to Christians, but it recognizes that it's an important part of our country's history," said Ogbureke. The economics major said he believes that Christians from the South will have to learn how to engage this culture in order to remain relevant and not be overwhelmed by the indifference to Christianity that's now mainstream. Being at Columbia, he said, has taught him that. "As a society, the mainstream, we've gone past that (Christianity). So you have to know how to properly and maturely navigate the society. How you talk to people who know what Christianity is but don't think that it's relevant for the year 2015," said Ogbureke. "How do you talk to people who antagonize Christians or throw different insults or presumptions your way? It's been a big learning curve. Columbia's kinda like a microcosm of New York City or the northern urban life, but we've been able to do that through a pretty good maturing process. It kinda takes all of us to rally around each other," he explained. "From the cultural side you really have to embody the term 'in the world and not of it.' It comes to life when you have to move to a place very different from where you grew up," he said. One of the strategies Ogbureke's group has used to improve engagement with the culture is to reach out to people who are not necessarily Christians, and the recent unrest over racial justice in America forced the conversation they had on Thursday night featuring a diverse panel of Christian leaders namely: Anthony B. Bradley, associate professor of Theology and Ethics, The King's College; Joseph Tsang, senior pastor of Vision Church in Manhattan, New York; and Kenneth Hart, pastor of Evangelism and Community at Christ Crucified Fellowship Church. "Obviously, this Columbia community as a whole was really taken back by the events that happened with Eric Garner, with Mike Brown. We in the Christian community saw how our campus was responding to it, a lot of protests, a lot of where's the administration in this; a lot of we need conversations about race, and we noticed that the church wasn't getting involved," explained Ogbureke. "The church, being our ministry, wasn't having an active voice. We all had opinions, we just hadn't formed together like other groups and started the conversation that we wanted to start, so that's what we wanted to do — we wanted to get the conversation going," he said of Thursday's gathering. "More importantly, we wanted to inform people who are in the Christian community who don't really know a lot about this issue. They can come in and hear from Christians that do know about this issue, and suddenly start the conversation where there is understanding instead of the typical antagonizing this versus them that you often hear in conversations today," he continued. Along with the ongoing lecture series, Ogbureke explained that his group engages in a number of other activities to enrich Christians and the lives of people in their general community. "We talk about social issues, understanding the New Testament, faith and science; we do a lot of community service," he said. "… We have teams that service the campus with little acts of kindness. We have different outreach events where we share books, talk about our worldview, talk about Christianity, as well as talks about what people believe and why they believe it, and what their virtues are and what they value." He warned Christians to be careful not to politicize their faith or lump it into a particular worldview. "It's hard to boil down the Gospel into a left-right issue, a conservative or liberal issue. I think for the sake of simplification it's very convenient for a lot of Christians to do that, however, it's very important to not mix Christianity with the idea of a conservative or liberal worldview because that's even a very American thing," he said. "You go to other countries and their idea of conservative or liberal, left and right, mainstream, are very different. … Christianity is not about America, even Christianity in America is not about America," he noted. On Christian causes in the political arena like abortion, marriage and other hot-button issues, he thinks Christians should ensure that they target the issues rather than the politics behind the issues. "Obviously, a lot of issues have become politicized, almost everything has. I think the important thing to remember is that it's the issue and the ramifications of that issue that matter and not the political ramifications of that issue," said Ogbureke. "So abortion might be an important issue for a lot of people, or marriage or stem cell research, contraception, those issues it's important to put those issues through the moral sifter and term them that way; however, you don't have to conflate it with a Republican or Democrat label," he said. "There are Republicans and Democrats who have different opinions and similar opinions on each of these issues, so Christians going into an election should be concerned about the ramifications of the issue and what it means for their faith, and not so much of what does this mean for the Republicans vs. the Democrats," he continued. "Those labels … it's like a circular hole with a square peg. You can't quite try to put a set of values and fit it into a party. Obviously, people will vote for certain parties or the person you vote for will be part of a party, however, you gotta put it on that individual. Once you conflate it with the party, you're making a lot of assumptions and generalizations that you shouldn't be making and it starts to become more about politics," he noted. "[Politics] is about power, which is about numbers, which is about the power to do and not even about the power to do right; whereas the Gospel is about the right and the power to do right," he ended.